It's not your typical dinner party. But then again, these two are not your usual dinner companions. 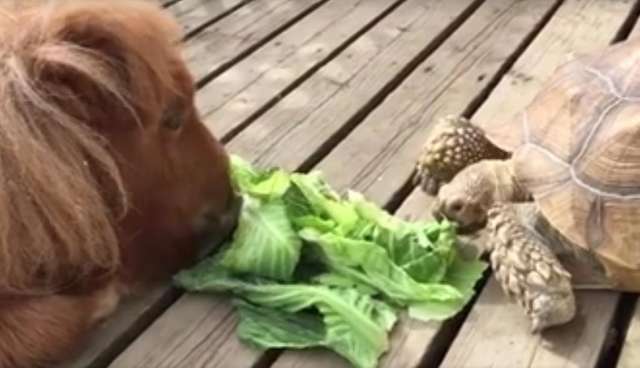 This mini horse and his tortoise friend were recently filmed sharing the best meal ever: a giant green salad. 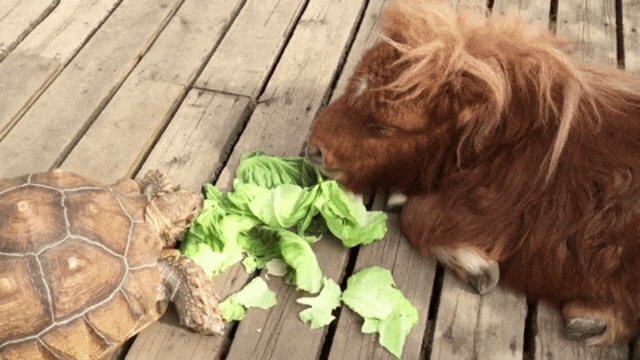 We're talking some big lettuce. 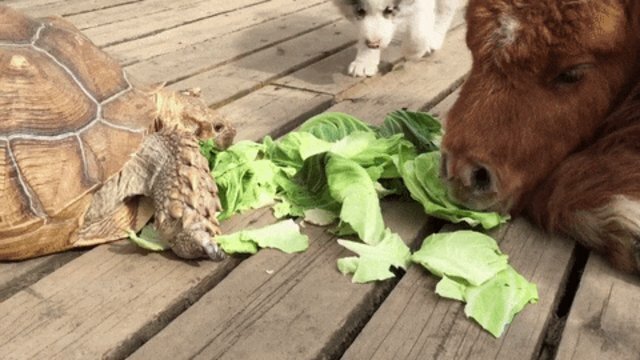 There's nothing like a great meal shared between friends, just minding their own business. But wait, who invited this puppy? 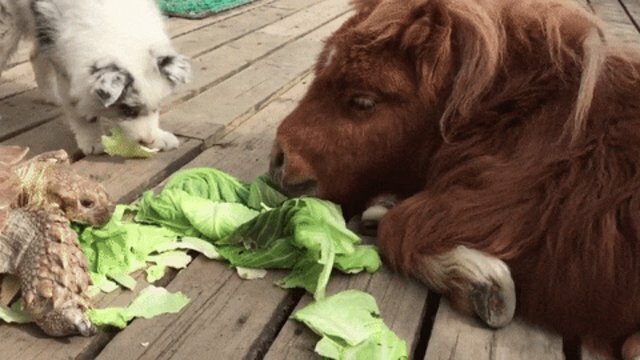 The puppy tries to get by on his cuteness as he attempts to steal the horse's lettuce leaves. 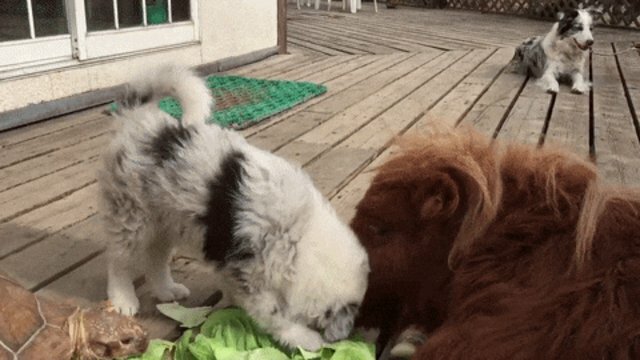 Things quickly escalate as the puppy pushes over the mini horse in an unfair fight. 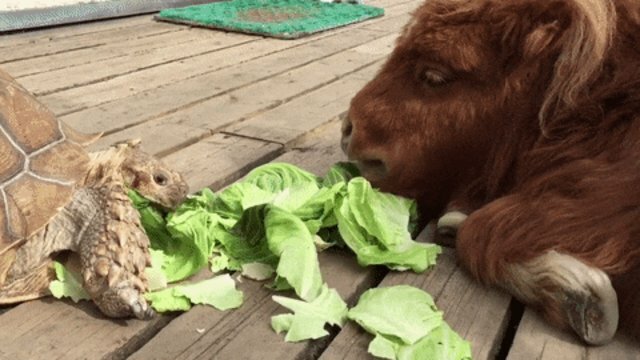 Meanwhile, the tortoise stops chowing down so he can watch the show. The mini horse is down for the count, but he's still chewing, as the puppy takes the leaves and runs. 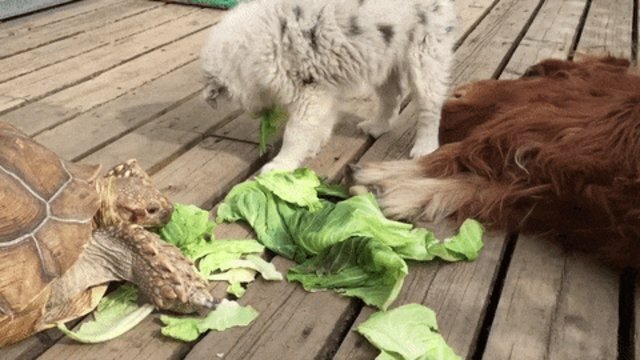 That's what happens when uninvited guests come to dinner. You just never know who's going to show up and start something.